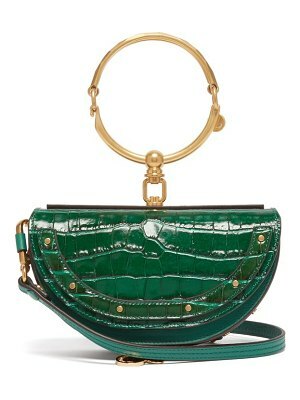 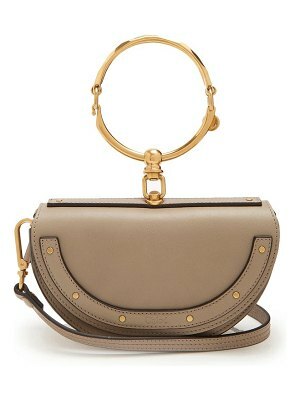 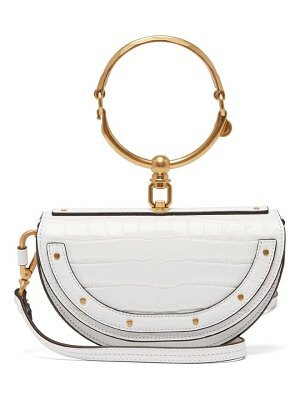 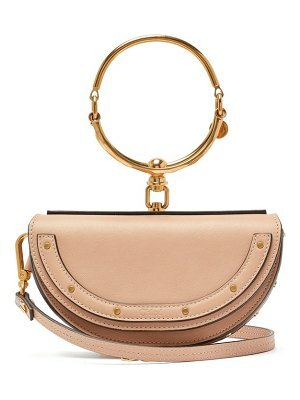 The Nile clutch from Chloé charms us with its stripped-down lines and refined details. 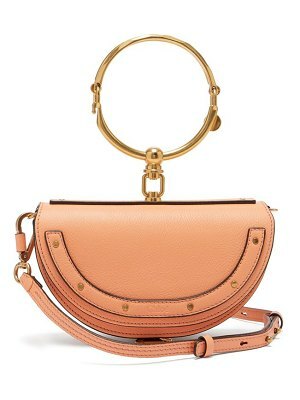 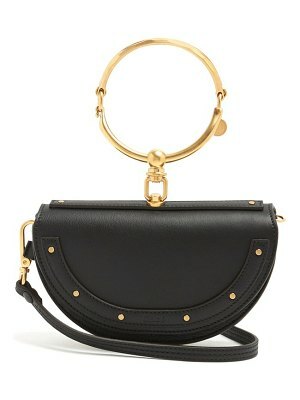 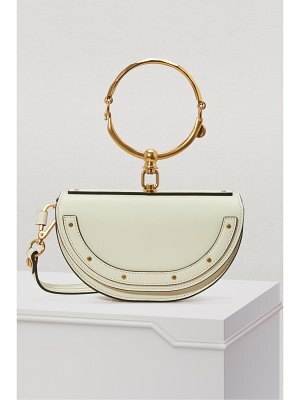 The half-moon shape enhances the Nile line's signature details, such as the articulated brass bracelet and the studs on the flap. 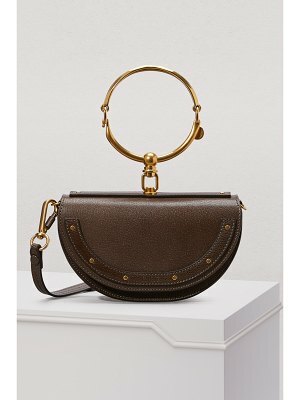 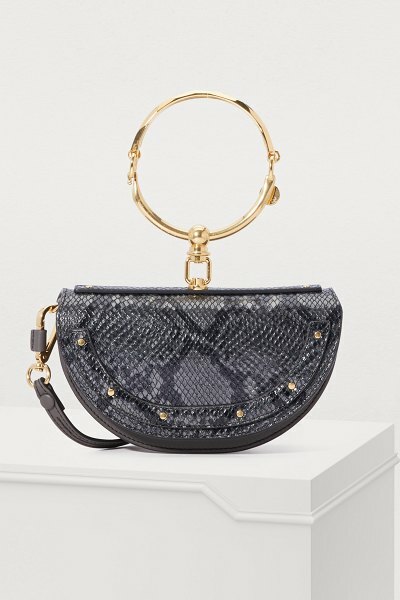 A hanging C-shaped jewel adds to the evanescent appeal of this bag carried by its iconic ring, either casually around the wrist or held in the hand.